« Dr. Swanson’s Trivia Tournament of Champions 2K19! James Nova is a trombonist with the Pittsburgh Symphony Orchestra and a prolific arranger of film music. 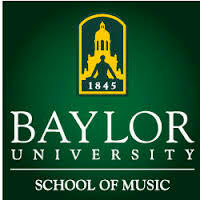 Performers in the Baylor Trombone Choir are from the studio of Brent Phillips, Associate Professor of Trombone at Baylor University. This event, “Baylor Bones at the Movies,” is free.